Agent Jack's bar is a theme bar where customers can interact with a virtual bartender known as AGENT JACK. Customers use an iOS APP or an ANDROID APP to make offers for drinks at their own choice of prices. Agent Jack may choose to AGREE or DISAGREE. Each offer which is REJECTED by Agent Jack is followed by a humorous comment challenging the customer to try again and is publicly displayed on large PROJECTOR SCREEN in the bar. The concept brings a mix of HUMOUR& INTERACTIVITY to the bar and provides the customer power to BARGAIN and enjoy GREAT DEALS. The USP of the place is the app and my friends n me had a lot of fun bidding for our drinks and getting the funny replies. The large screen displaying funny bids and reverts by Agent Jack is also a fun thing to look at. The started are really nice and yum and one should try the chakna platter, my friends suggested the chicken platter was amazing. Drinks are on bids but still fairly priced. On a Wednesday night the place was packed and the msuic was great. Agent jack might just become my new ADDA. Agents Jack has already become a legendary name in pune in the pubbing business and now they have started expanding in Mumbai. Their veera Desai outlet is the latest one in the line and it is certainly living up to expectations. A very perky ambiance.. Love the bike at the entrance, quite spacious, tables well spread out(certainly could do with some chairs right by the bar) big screens and projectors all around airing live matches and a quite spacious smoking zone (full marks). Food is good, love their on toes bhindi fry and cheese chilly toast. Alcohol is cheap.. Even cheaper if you bargain right with Mr Jack. Very friendly and courteous staff and good music. Another gem in Andheris line of pub.. Much Recommended! Amazing, well maintained lounge offering drinks at very reasonable prices.. Service was very nice the chaknas they serve are good.. Must mention that the Long Island tea served was so amazing that I walked down to the bar and took down the name of bar tender.. Mr Narendra Modi.. Super amazing drink.. Keep it up guys! 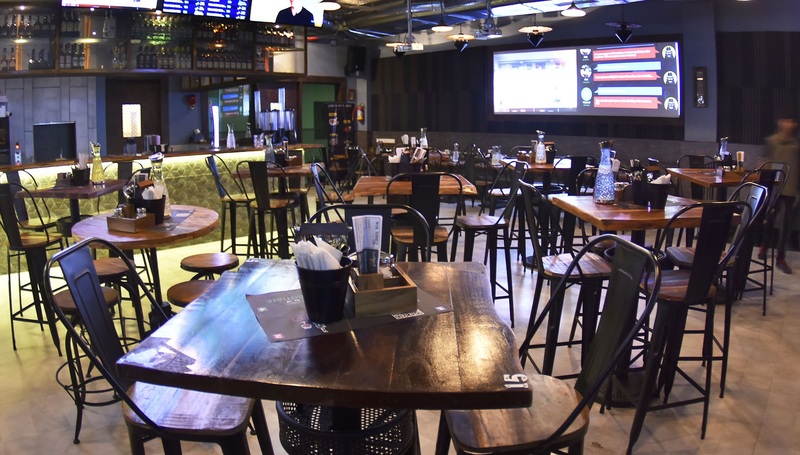 Agent Jacks is one of the recently opened lively spots in Andheri West. Tried this place on a Saturday night and ended up meeting a few friends that were already present here. The place gives a lively nightclub feel as soon as you enter. The DJ here plays a mix of popular Hollywood and Bollywood tracks. The sound level is quite high and that may entice you to dance. The unique thing about this spot is the way you order food and drinks. You have to download their application on your cell phones and than after registering, you can view their menu and choose whatever you want. You can also bid a price suitable to you from a given price range - and keep bidding till the application accepts your order. As soon as you make a selection or get a rejection, your name with the order and the cost will be displayed on the huge projector screen along with witty replies by the app - this can also be viewed by all of the patrons present in the pub adding to the fun of ordering drinks here. The service here is quick and their selection of drinks is also quite decent. Do try this place and enjoy a lively night with your group.